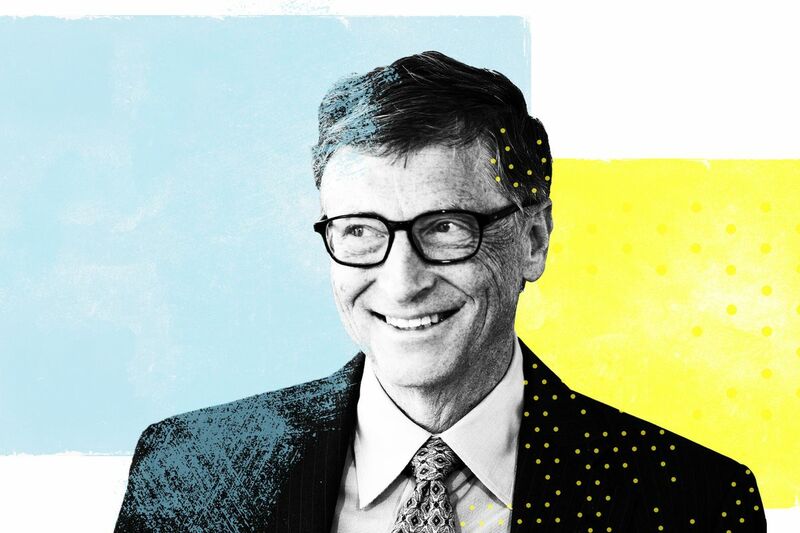 ..Why Bill Gates is worried… – A Nibble – A Bite – or a Meal! What Gates thinks about global poverty, artificial intelligence, political freedom, clean meat, and humanity’s future. Is the world becoming a better place? Are human beings, on average, becoming healthier, richer, safer? And if they’re not, why not? And how can we do better? Each year, the Bill and Melinda Gates Foundation releases its annual Goalkeepers Report. The publication is thick with charts and graphs, metrics and statistics. And usually, it’s optimistic — global poverty, infant mortality, and a host of other key measures have dashed toward decency in recent years, and the Gateses have sought to make sure the public knows that progress is being made. The 2018 edition, however, started on a tougher note. “Optimism requires being candid about the hard problems that still need to be solved,” the Gateses write. “To put it bluntly,” they continue, “decades of stunning progress in the fight against poverty and disease may be on the verge of stalling. The Gateses are talking specifically here about Africa. “Africa as a whole is projected to nearly double in size by 2050, which means that even if the percentage of poor people on the continent is cut in half, the number of poor people stays the same,” they write. There is no topic in the philanthropic world more fraught than population growth. The history of efforts to analyze and address it is filled with bad predictions and, worse, cruel solutions. The Gateses, though, are trying to take a different approach to the issue. Rather than seeing a population problem in the demographic projections, they’re framing it as a poverty problem — and, for that matter, an opportunity. “There’s been a lot of discussion about what happens if large numbers of young people in the poorest countries are denied opportunities to build better lives,” they write. “People worry about insecurity, instability, and mass migration. We wish they would also recognize young people’s enormous potential to drive growth. With an endowment of more than $50 billion, the Bill and Melinda Gates Foundation is, by far, the largest foundation in the world. What it does matters, and so the ideas that power its work matter. I spoke to Bill Gates for my podcast, The Ezra Klein Show. We discussed the geographic and political forces that have held Africa back; whether economic development brings political freedom; the risk posed by artificial intelligence; how we should weight future human lives; whether philanthropists should worry about animal suffering; and much more. The full audio is here. A transcript of our conversation, edited for length and clarity, follows. You often make a point, in my experience, of pushing an optimistic narrative in the face of an increasingly pessimistic culture. Well, the point there is that the dramatic decline of 26 percent of the world’s population being in extreme poverty down to 9 percent, a lot of that came because Asian countries — first China and then later India, Indonesia, and Pakistan and Bangladesh — did a reasonable job of governance. They invested in health. They invested in agricultural productivity. They improved their education systems, and so they lifted a lot of their population out of extreme poverty. As you look at the projection out through 2050, the portion of people in extreme poverty will overwhelmingly be on one continent, which is Africa. It means that unless we do a good job in those countries where an increasing portion of the births are taking place, we won’t see anywhere near that decline that we saw over the last 25 years. I think that raises the big background question to this report, which I wanted to understand your framework on: Why do you believe, at this point in history, that Africa is poorer than Asia or Europe or North America? Well, Africa, of course, is not nearly as poor as it was in the past. The number of kids in education, the childhood survival rate, there has been quite a bit of improvement there. But in Africa, the geography is tough. The disease burden is tough. The ecosystems are very, very different. Asia, Europe, and the United States, those Northern Hemisphere areas, they developed in terms of getting rid of disease, being able to have infrastructure for very efficient transport, and having more than enough food to feed the population. They got into a virtuous cycle of high education, high discovery, high innovation, and generally quite strong governance. In Africa, there was colonialism, which certainly held those countries back. There’s the geography that makes moving things across the country very difficult. The rivers aren’t as navigable. Because you’re equatorial, you don’t have winters where the pathogens get killed off. Equatorial regions have things like malaria in a very different way than other parts of the world. Now, South Africa, Botswana — there are parts of the continent that have gotten themselves up to this middle-income level. But particularly if you look at the central areas — Northern Nigeria, [the] Democratic Republic of Congo — the level of development there is not very high at all. It’s mostly subsistence farming, very little infrastructure, very little resources for the government, and very little capacity to build up even the basic health and education systems. Can you talk a little bit about that interaction between geography and disease burdens and land usability and then institutional and economic development? There is a type of poverty trap where if your economy doesn’t develop, then it’s very hard to bootstrap those things. Africa, in particular, it’s hard to move physical goods around. Europe was very lucky in that you could move things by sea. They built up canal systems. Some mountains caused a challenge, but the transport cost was fairly low, and you had this temperate zone area that extended all the way into Asia. That’s why they use this term Eurasia, where a lot of development, including the initial Industrial Age, gets going. At that time, the same educational things are not happening in Africa. There’s not that same level of investment. You don’t have the notion of a nation-state that you belong to as a key organizing principle so you can scale up and make these kinds of investments. The temperate zone countries got way, way ahead. Now, when we have some equatorial countries like Malaysia or parts of India that are actually having economic development, that’s a fantastic thing. But it’s still very predictive whether you are temperate or tropical how well you will have done in economic development. If we can take those parasitic diseases and the low agricultural productivity and malaria, if we can get rid of those and, through aid, get some bootstrap in terms of the infrastructure, health, and education, then you can get the uplift. Asia, where the geography and disease burden isn’t quite as bad, has provided an example. I’ve taken to African leaders many times the book How Asia Works, which talks about the progression starting with agricultural productivity as a key bootstrap to get to middle-income levels. Do you see the Asia story as primarily a story of institutional development? Well, institutions are a huge part of the mix, but you can only get there if you have the resources, either locally raised or through donors, that you’re creating the health care system and the education system and the roads and telling farmers what to do. Take India in the 1960s and ’70s. There were a lot of investments as the Green Revolution crops came along; the agricultural productivity more than doubled. It was very timely because a lot of people had expected mass starvation in Asia as their population growth had stayed high into those decades. But in fact, the institutional capacity, the roads, the new seeds, came together and actually, nutritional levels actually went up during that time period. Asia is a huge source of learning about what can go on in Africa. Ethiopia starts out 20 years ago as one of the very, very poorest countries. When you thought about famine in Africa, Somalia and Ethiopia are the two countries that would come to mind. Now Ethiopia, although it still can have droughts with weather variability, it’s now feeding itself because that agricultural productivity has gone up. They’re an exemplar in this human capital equation. They’ve really thought about local resources, donor money, and the health and education systems there are constantly improving. That’s over 90 million people that really are following the path that should get them to middle income and self-sufficiency. The human capital piece of this, I think, is really important. One of the most striking statistics in the report to me was that a third of African children are stunted. Can you talk about what stunting means? Yeah, stunting formally is that your height is substantially below what it should be for your age. Unfortunately, it also means that you haven’t had access to nutrition. So not just your stature or your height but also your overall physical capacity and your mental capacity isn’t anywhere near what it would be if you’d had proper nutrition. This is very, very important to solve because if you don’t get that nutritional piece right, then your investments in educating that kid — both for the kid individually and for the country — aren’t going to create the economic payoff that you expect. It’s a huge area of focus, and we actually have some leads on how we have to change the diet, what micronutrients might be missing, to get the physical and mental capacity up to its full potential. I want to ask a question that’s going to reveal how dumb I am about all this. This seems like a problem that is reasonably straightforward to solve, making sure children have enough protein and enough micronutrients to reach a non-stunted level of development. Why has the world not solved it? Going out and finding those kids who are falling behind and weighing them and then making sure they have these supplemental foods is actually fairly difficult. Targeted delivery to children that are out in very rural areas requires a level of sophistication that’s even beyond getting vaccinations out to the children. We have countries like Ethiopia and Tanzania that get well over 90 percent of their kids the vaccines where this effort to go out and find those kids that are falling behind isn’t done. I’m optimistic about this problem, but it’s been one of the toughest. There aren’t as many exemplars in getting stunting down at a low level of income as there are the overall reduction in childhood death where just getting your vaccine coverage up gives you dramatic gains in that measure. It sounds like for this problem and for a lot of the others, what’s most important is for the governance institutions and economic institutions to strengthen. The difference between the quality of governance in, say, China and Nigeria, to say nothing of Nigeria and South Korea, is huge. Is that a problem that the philanthropy community doesn’t know how to tackle? Or is it a problem that it doesn’t seem like it is the philanthropy community’s right or responsibility to tackle? You’re absolutely right. Poor governance is a huge block to these issues. However, if you wait, usually you only get really good governance once a country is middle-income. When you have a leader like [Paul] Kagame in Rwanda who appoints good people and really cares about these results, it’s a fantastic thing. Now, neither Ethiopia [nor] Rwanda checks every box of excellent government. It’s likely that those countries, until they get to middle-income status, won’t have all those characteristics. Neither did South Korea and many other countries. We wish we knew how to help even more with governments. We know it’s very, very important. When I heard discussions of changing governance structures to drive economic growth 10, 15 years ago, they were more optimistic in this way: There was a belief that you needed something that was much more like the American model. Free markets, free minds. But now we’ve seen the rise of China and a lot of other countries that have induced very rapid development through market-oriented but authoritarian governance structures. If you’re a developing economy and you’re looking at what is a model, I think for all kinds of reasons, there have begun to be more questions about America’s political systems, but also China has become a very powerful exemplar. You brought up Kagame in Rwanda, who has both done some remarkable things in terms of governance and the economy and has also, as I understand it, become much more authoritarian. Do you worry that the governance model that countries are beginning to look to for economic growth is much less of a model that prizes other kinds of freedom? It’s important to separate out the economic model of development from that political model. There are no examples of countries who’ve grown their economy on a broad-based basis without using market-based pricing. Whatever the political model is, this willingness to reduce corruption, to get the health and education system working well, that makes a huge difference. Taiwan, when it developed, it was an autocracy. Korea, when it developed, it was under a dictator. Then they progressed to more democratic forms of government. Now, China certainly raises the question that now that they’re middle-income level, will their political model progress or not? That’s a valid question and important in terms of the rights of the people in those countries. But economic development isn’t quite as stringent. It’s more about taking a long-term view and making these human capital investments. How much are political rights intertwined with economic development? The argument that has long been made is often an economic self-interest argument — if you don’t have these things, you’re not gonna have these other things. There’s never been as strong a coupling between economic growth and democratic freedoms as we’d all like. China grew dramatically faster than India did. Now, India’s a very good story. It’s growing; the health statistics are improving; it’s on quite a good path. But it’s not even close to what happened in China, what happened in South Korea, what happened in Taiwan. The human freedom argument is going to have to be made on its own. With the Goalkeepers construct, the idea is: Is all this innovation continuing to help the poorest countries, people in extreme poverty? At least once a year, there’s a question about did we let HIV spread and create a disaster there? Did we continue to innovate malaria so we could stay ahead of drug resistance? Why do we still have places left where over 15 percent of the kids die before the age of 5? What’s it gonna take for those remaining areas to get below that? There’s progress and then there’s progress with equity. Goalkeepers is a focus on that “with equity” part. I want to ask you a question about the far-off future. One of the things that has become powerful in the effective altruism movement is the idea that we should be much more concerned about existential planetary-level risk because the weight of future human lives is so dramatic. My colleague Dylan Matthews puts it in this way that I think is pretty stark, which is that if humanity lasts as long as the dinosaurs did, then about 8 quadrillion people will live total. That means over 99.99 percent of all the humans who’ll ever live have yet to be born. If that’s true, then even very small reductions in the danger of those future lives not happening begins to outweigh large improvements in the value of life now. I’m curious how you think about weighing that far-off future against the present we live in. Well, the people in the future will have more knowledge and more resources than we have today. They’ll understand what those emerging problems look like. If you said there was a philanthropist 500 years ago that said, “I’m not gonna feed the poor, I’m gonna worry about existential risk,” I doubt their prediction would have made any difference in terms of what came later. You got to have a certain modesty. Even understanding what’s gonna go on in a 50-year time frame I would say is very, very difficult. If somebody thinks there’s a magic thing they can do today that helps all those future lives, in a free economy, they have a chance to build whatever it is they think does that. We do have a few things like climate change where you want to invest today to involve problems tomorrow. I’m always a little surprised there’s not more engagement on that issue. Pandemic risk, weapons of mass destruction. But there’s not many that we can identify. they’re building that temple out of. A lot of people have become very focused on the question of AI risk. I’m curious how you weight that as a risk to future human life? And so they think that’s more important than kids dying of malaria? But most of those people aren’t working on AI risk. They’re actually accelerating progress in AI. Well, it may be a guilt-oriented thing as well. No, they like working on AI. Working on AI is fun. If they think what they’re doing is reducing the risk of AI, I haven’t seen that proof of that. They have a model. Some people want to go to Mars. Some people want to live forever. Philanthropy has got a lot of heterogeneity in it. If people bring their intelligence, some passion, overall, it tends to work out. There’s some dead ends, but every once in a while, we get the Green Revolution or new vaccines or models for how education can be done better. It’s not something where the philanthropists all homogenize what they’re doing. Even in the Giving Pledge, we celebrate the diversity of causes that people are investing in. Related to that, how do you weight animal suffering? We know animals are sentient. We know, as human beings, we’ve gotten more technologically advanced. We’ve been able to raise them in what are, on the one hand, more efficient, but on the other hand, more cruel, ways for meat. As we get richer and 10 billion people are alive, there’s going to be a larger demand for them. How do you think about the moral weight of chickens and pigs and cows and other kinds of suffering creatures in the future we’re building? Well, because of climate change, I’m involved in a number of efforts to create meat-equivalent products without using animals. Impossible Foods, Beyond Meat, Memphis Meats, a number of things. There actually is some progress there. In the meantime, the foundation is now the biggest funder of new vaccines to improve animal health. Livestock is very important in terms of the diet issues or the economic value that you create out of the agricultural sector. I personally don’t have a good metric of what type of cow life is better that it happened versus better that it didn’t happen. But there’s a lot of benefits that accrue to creating these meat-like products in a different way. Do you think we should worry about, from a philanthropic view or moral view, the suffering along the way? You were talking about developing vaccines and genetic strains that make animals more productive and able to live in some of these conditions. But I think there’s certainly an argument that making them more able to live in these conditions is creating lives of such suffering that there’s an immoral, or at least amoral, dimension to it as well. Well, I think vaccinating the animals is hard to argue against. You’re preventing what are bad diseases for these animals, and you’re extending their lifetime. It’s just like vaccines for humans.